– Walking today Paul pointed out two hawks sitting just above our heads. It was the closest I think I have ever been to a wild bird of prey! – If you were looking to buy a pop-up canopy tent, now seems to be a great time to get them! 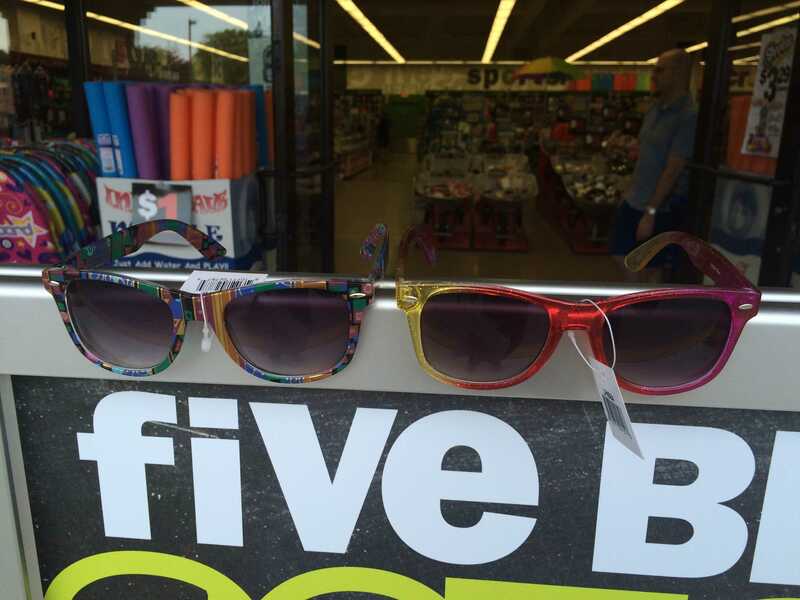 – I love http://www.fivebelow.com/ – so much fun, cheap junk. I know I should buy more durable stuff, but this is a sweet indulgence. I bought some sunglasses to wear when I need to have more fun, to supplement my get things done sunglasses. So we did a second one: https://www.kickstarter.com/projects/everyherelogistics/everyhere-logistics-art-experiences-on-the-road/description. This one failed in a way too. A friend gave us a big loan that we had to repay and a large donor pulled out at the end. And of course a bunch of donations end up bouncing, then we have kickstarter fees, fees to our fiscal sponsor and the overhead of running the kickstarter like video production, shipping and production of perks. In the end, we got far less than what it looks like. The real success of this is that over 400 people supported us and cared enough to help. We realized that the major richness we have is in a huge community who wants to help. Don’t get me wrong: the amount we raised is significant, and people were generous beyond a doubt. We just didn’t hit our fundraising goals. Some people got private donations, we got a commission from SFMOMA to do trucks for SF’s Sunday Streets for a little money, we did some fundraising parties and we’re digging into our own pockets. Oh, and getting fiscal sponsorship so we can avoid taxes helped a lot too. Main take away for me: Kickstarter is a great way to get community, but for all the prep and all the work, it may not be a great financial return. Asking big donors and straight up working for it (either through fundraisers or just saving) yielded more. Learning how to be frugal and willing to work with what we have has been key. Knowing that your friends and community will help you get through, even if the money is tight (hey someone loaned me half! that was a big deal to me! ), is invaluable knowledge. Also, a group of people motivated seems to be unstoppable.